Al Sanders from Seattle, Washington looks like he is in the lead for the father of the year award. 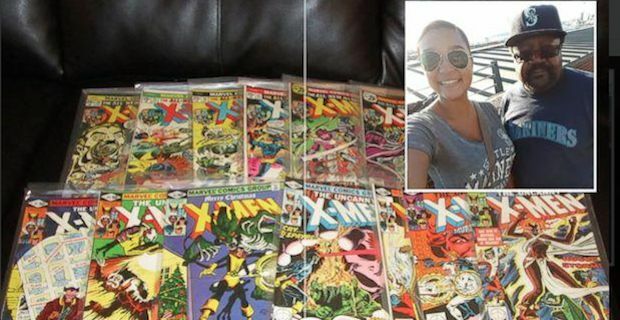 He is planning on selling his lifetime collection of classic comic books in order to pay for his daughter's college education. The 53-year old started enjoying collecting comics at a young age. Throughout college he would donate plasma twice a week which would bring in around $30 (£21) each time and then head out to purchase a valuable comic book. Over the years he has collected and kept around 5,000 books which includes vintage comic copies of X-Men, Batman, Luke Cage, Iron Man and Hero to Hire. This weekend he is heading to one of Seattle’s largest conventions, Emerald City Comicon, in hopes of finding good homes for these precious comics. He will be taking all 10 boxes with him, each holding 500 copies. One of the books in his collection is “Giant Size X-Men No. 1” which sells at around $1,500 (£1,052).